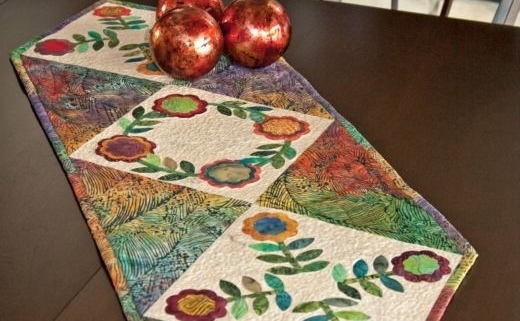 Description: Create a beautiful spring applique’ table runner using the Accuquilt Go! Rose of Sharon #1 die #55045. Table runner finished size 14 3/4″ X 42 ½”. Rose of Sharon quilts are perfect for wedding and anniversary quilts as the Rose of Sharon motif historically symbolized Love and Marriage! Also use for Baltimore Album applique’ quilts, wearables, gift tags, home décor and more!